We are a leading Manufacturer of finishing chem, dermasil 4770, aquarepel azn, profinish-cws/conc, profinish-c-44/conc and aquasil-hs new from Navi Mumbai, India. Silicone elastomer containing a reactive bi-functional polysiloxane. Treated fabric imparts dry, fuller hand with a lively bouncy feel on fabrics. Imparts a good durable soft hand. Treated fabric exhibits excellent surface smoothness with softness. Highly efficient, durable, water repellent & fluorochemical extender. It is suitable for cellulosic & synthetic fibres & their blends. Psuedocationic softener suitable for all kind of fibres especially those made out of cellulose. Imparting a full, soft hand with high surface smoothness. 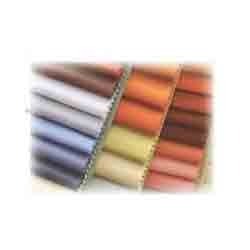 Suitable for top-softening of yarn packages resulting in excellent winding-off properties. A durable non-yellowing hydrophilic silicone softener designed to impart very soft /smooth, fluffy, waxy hand, improved soil release properties and running properties. It is shear stable and hence suitable in application and in high turbulence equipments like JET, Soft flow machine etc. A durable non-yellowing premium hydrophilic silicone softener designed to impart very soft /smooth, fluffy, waxy hand, improved soil release properties and running properties. It is shear stable and hence suitable in application and in high turbulence equipments like JET, Soft flow machine etc. 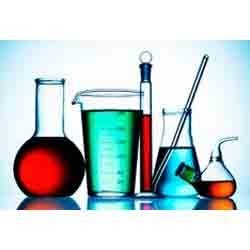 Is a cationic softening agent for natural and synthetic fabric and fibers. Reactive cationic softening agent for natural and synthetic fibres. Suitable for application by exhaust and pad methods. Is a new generation textile finishing agent based on ether modified polyurethane. 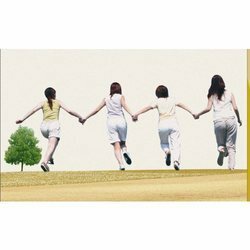 Its self dispersible nanoemulsion exhibits good compatibility with amino silicone emulsion and other nonionic and cationic finishing agents. It imparts a full soft and smooth feel along with excellent drape, resilience and body to treated fabrics. It also imparts durable water absorbency and wicking resulting in improved wearer comfort. Is used as an antiseptic, bactericidal/microbicidal and spermicide. This product is a nitrogenous cationic surface-acting agent belonging to the quaternary ammonium group. Saniguard-KC is a mixture of various alkyl chain lengths. It is a specially developed cationic, water-soluble polymer intended for use in the “Cationising of cotton” goods prior to dyeing process. Pigment Dyeing By Exhaust. Is a liquid polyelectrolyte of high cationic charge. It acts as a flocculent with a tendency to coagulate or form complex with anionic dyestuffs & pigments & other dissolved solids & suspended materials found in dye house effluents. Semi-micro emulsion of organofunctional silicone with elastomeric effect. Recommended for knits for its good elastic resilience. Imparts good softness and dimensional stability. Silicone containing fatty acid condensation product with special additives. Multifunctional softener suitable for all types of fabric substrates. Imparts special soft handle, smooth surface and optimum sewability. A power packed softener & hand modifier based on proprietary engineered hybrid polysiloxane & APEO free surfactants. The micro emulsion is specifically designed to ensure optimum orientation of the modified siloxane on fabric substrates, during drying, enabling unsurpassed balance of surface slickness & smooth hand, improved definition of colors, enhanced fabric physical properties, reduced bending rigidity & optimized drape. Silicone containing fatty acid condensation product with special additives. Multifunctional softener. Economical, non-yellowing softener for permanent finishes on all fabrics. Improves crease recovery, tear strength elasticity and abrasion resistance. 50% active concentrated, free flowing emulsion of amino functional siloxane. Imparts inner softness/limpy feel with balanced surface smoothness. Suitable for all types of fabric substrates especially cotton wovens. Micro emulsion of an organo modified poly siloxane applicable by pad and exhaust. Macro emulsion of an aminofunctional polysiloxane for durable finishing effects. Suitable for all types of fabric substrates, especially cotton woven. Produces cashmere handle on wool. Improves fabric tear strength and wrinkle recovery. Gives soft, smooth and silky hand feel. Imparts durable wrinkle recovery with good surface lubricity. Reactive macro amino silicone softener. Suitable for all types of fabric substrates especially knits. Imparts a soft, smooth elastic handle to wovens as well as knits. Improves CRA, sewability and tear strength. Semi-micro emulsion of reactive organo modified poly siloxane containing ultra low level of surfactants. Gives good surface smoothness with silky handle. Improves fabric physicals like wrinkle recovery and cutting and sewing performance. 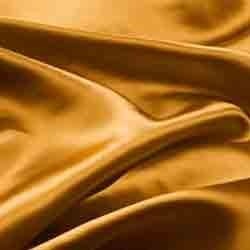 Treated fabric imparts very soft, smooth and limpy handle. 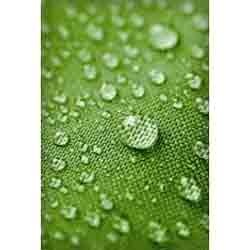 Treated fabrics exhibit excellent soft, smooth and silky hand while retaining the fabrics original water absorbency. Imparts improved soil release, wicking, moisture transport properties. Hydrophilic silicone softener emulsion of quat. Non- yellowing and shear stable. Imparts a soft greasy bulky hand especially on terry towels. Exhibits good wicking and moisture transport. Very good water retention properties on terry towel fabrics. Eliminates yarn breakage, ply and piling in the knitting process. Concentrated emulsion of reactive amino modified polysiloxane. Imparts a soft, elastic and durable feel. Increases crease resistance, tensile strength and lubricity on all fibres. Excellent surface smoothness by pad application especially on knits. 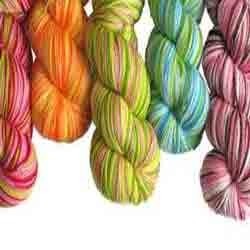 Gives excellent results on denim fabrics and feather yarn. Reactive cationic softener especially suitable for synthetics and their blends. Applicable by pad and exhaust. Cationic softener. Softening agent for acrylic fibres, synthetic, cellulosic and their blends with wool.